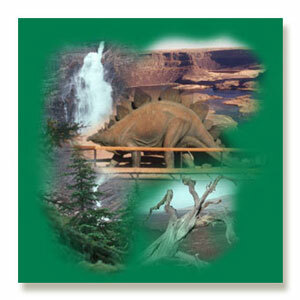 The Lure of Pine and Sage travel guide will give hours of enjoyment whether following the coloured maps, as you drive the Minitours in the travelguide, or sitting at home looking at the beautiful photographs, and reading about the geology of the areas through which you wish to travel.This book is now available as a CD-travelbook. Eventually it may become published as a traditional paper book. 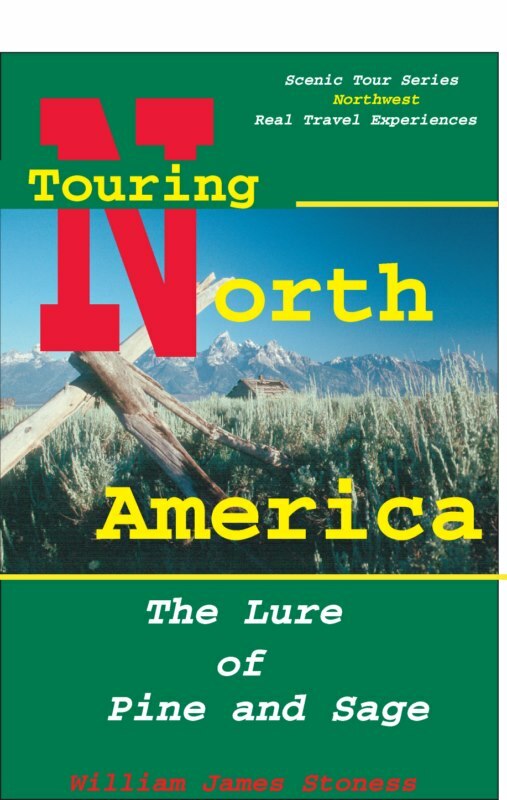 The first of a series of CD books on Scenic Tours of North America, covers Western Canada and Central and Northwestern USA. Many travel books provide tours through a particularly scenic area, and then jump to another scenic area. 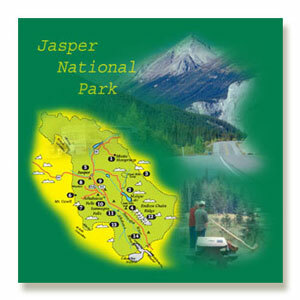 The Lure of Pine and Sage not only covers these areas but also includes them in a complete Minitour that connects with other Minitours. With some planning you can follow a charted itinerary for most of your trip within the coverage area of the book. The Lure of Pine and Sage written in a manner that makes it an extremely useful book that the average family can use to select the most interesting route to a western destination. All Minitours are outlined on a large area map placed near the front of the book making it easy to locate a destination and select Minitours which go in that general direction. Then read each of those Minitours and string together those Minitours that you like best. Your trip is now ready. The wide selection of 42 Minitours and almost 20 Parktours is designed to take you through areas of unusual scenic wonders, or geological phenomena, many of which are off the 'beaten path'. The extensive Table of Contents leads the reader quickly to the information listed under each Minitour. A map of the Minitour accompanies each Minitour, and some areas are expanded to provide more detail. The excellent number of parks covered along with park maps make the book an invaluable addition to anyone's travel library. 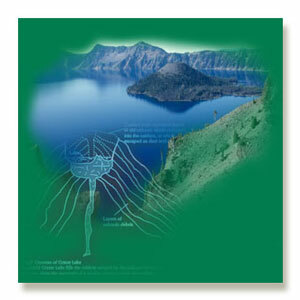 The author frequently relates the scenery to geology. His discussion on the great calderas that make up Yellowstone National Park is bound to add a sense of the 'unbelievable' to a trip there. Two tours follow the paths taken by two immense earth-changing floods of the past. Seeing the barren hills and great coulees of Washington State, or the great falls and deep canyons along the Snake River in Idaho will have much more meaning after reading about the events that shaped those areas. It becomes obvious that the main purpose of The Lure of Pine and Sage is to provide the readers with a scenic and enjoyable trip by providing for a wide variety of interests. Train buffs will appreciate the references to places for train watching, or the locations of some of the great steam locomotives from the past. Whether it's a visit to the Amana Colonies, museums of western art and artifacts, model trains, old forts, or a dinner tour on an old scenic railway, the reader is sure to find something that fits his interests. The plentiful full colour maps and photographs make this book an attractive gift for the armchair reader, as well as for the seat of the car, or RV. The Lure of Pine and Sage makes it easy and fun to plan your vacation road trip.